Just Property have been estate agents in Stellenbosch since 2007 and our high profile office situated in Merriman Street is strategically placed on campus. As a result, we benefit from a huge amount of passing road and foot traffic making it the ideal position to promote properties. We deal with all types of properties rent or sell, residential or commercial; we love what we do so share in our knowledge. The lettings market in Stellenbosh is particularly strong and as a leading letting agent in Stellenbosch, we are able to offer expert advice to landlords regarding their investment properties. Just Property Stellenbosch is able to offer clients a marketing presence that is second to none and with a professional, experienced team with a wealth of local knowledge. Your reasons for buying a property should cover every aspect of life and if you invest in a property in the historic town of Stellenbosch, no matter what you look to do, you will be able to do so in great style. Stellenbosch offers a wide variety of property from apartments, houses, farms, vacant land, commercial properties to golf and lifestyle estates. Stellenbosch is the second oldest town in South Africa, steeped in history and situated in the heart of the Winelands, surrounded by magnificent mountains, bountiful vineyards, valleys, orchards, streams and waterfalls. If you like to travel, for business or pleasure, you will be delighted to know that it is very easily located for Cape Town International Airport which is only 35km away. Stellenbosch also has very attractive educational opportunities with a top University and no fewer than 19 Primary and Secondary Schools. The University of Stellenbosch is recognised as one of the top four research universities in South Africa and has one of the country’s highest proportions of postgraduate students, of which almost ten percent are international students. Each year, students from around the globe flock to the town for its reputation as a world-class centre for learning. The University currently has more than 24 000 students, 800 lecturers and some 50 research and service bodies. 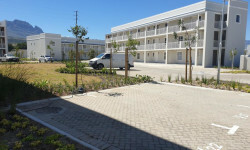 Thanks to the University, Stellenbosch has a high percentage of investment properties with apartments around campus and other properties converted into apartment style units. If you are looking for a location that has plenty of sporting opportunities, look no further. Stellenbosch has plenty to offer, with a number of golf courses and a host of other outdoor activities such as swimming, fishing, canoeing, aviation, abseiling, mountaineering, adventure camps, 4x4 trails and nature trails, hiking, mountain-biking, horse-riding and wildlife experiences, the opportunities are endless. The whole town is known as a ‘university town’ with a colourful town centre that has many cafes and coffee shops in a unique village setting . It is also seen as an important culture centre, with its many museums showcasing national and international art. New developments towards Somerset West have reached capacity in terms of municipal borders and the development shift is now towards Paarl. Although properties in some areas are relatively high valued, it is still possible to find a reasonably priced home in a good area. We fully realise the privileged lifestyle we have here in the Winelands and take great pride of our destination. Our comprehensive knowledge of the town and its people has proven to be of great value to clients wanting to purchase, invest or sell property in Stellenbosch. 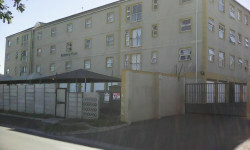 53 Cyrus Building , Merriman Avenue, Stellenbosch, Western Cape,7600.